NutriSource® Trout and rice formula is ideal for all breeds and all life stages. 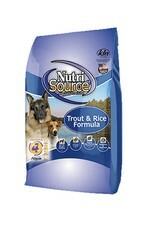 NutriSource® Trout and rice formula delivers super premium nutrition in a holistically formulated, easy-to-digest food. Our New Trout formula is an extension of our grain formulas that are widely considered the best value in any store. Pound for pound, when it comes to cost, quality ingredients and our unsurpassed Alltech supplements (Good4Life) - there is no equal! We combine fresh caught Trout, wild menhaden fish meal, Brown rice, and carefully selected holistic ingredients to promote balanced growth and unparalleled health for your special friend. Health of your beloved pet is our #1 priority and our unmatched use of Good 4 life supplements guarantees the new addition to your family won't have any runny stool issues and a healthier immune system, we guarantee it. Bio-availability is important to your pets long-term health so we created a highly digestible, nutrient dense morsel with +90% digestibility rating. With NutriSource® you can feed less and get more nutrition - Health does start here! 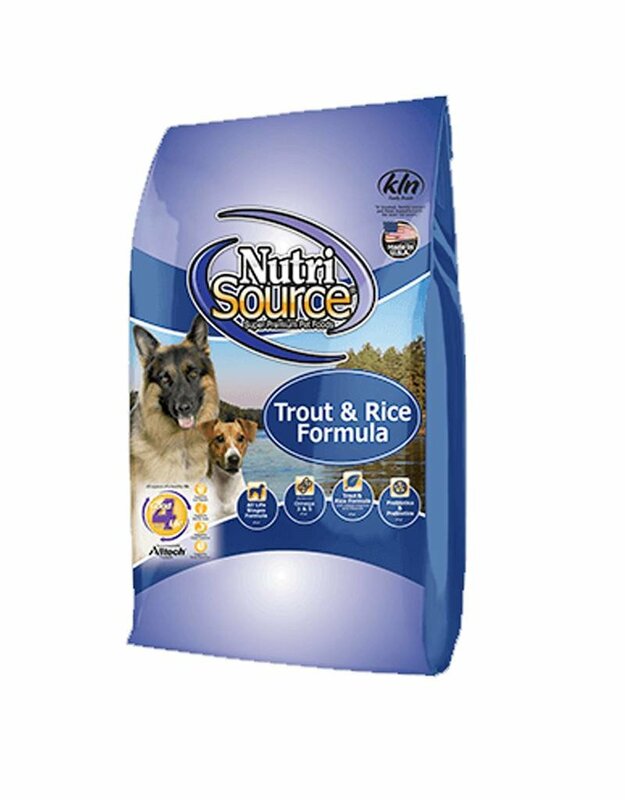 NutriSource®Trout & Rice FormulaDog Food is formulated to meet the nutritional levels established by the Association of American Feed Control Officials (AAFCO) Dog Food Nutrient Profiles for all life stages including growth of large size dogs (70 lbs. or more as an adult).